We need a reformation of the church, that has never been seen before! Watch the Bible come to life in front of you. You will see miracles in supermarkets and street corners, people baptized in public, hidden sins confessed and forgiven. 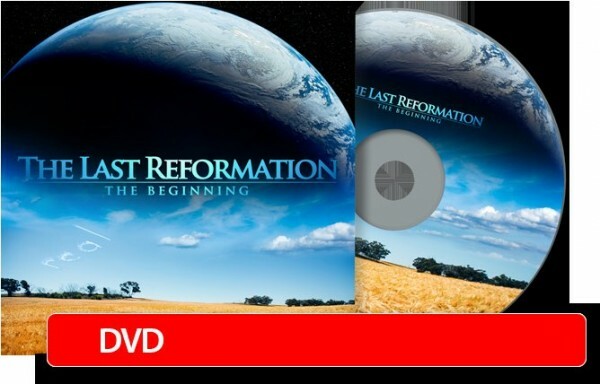 Experience the power of the gospel as in the time of the early church. Join us and rediscover the true church. Let the reformation begin! Extra’s: deleted scenes, producer’s comments and other extras. Subtitles: Afrikaans, Arabic, Czech, Danish, Dutch, English, Finnish, French, German, Italian, Norwegian, Polish, Portuguese, Romanian, Spanish, Swedish.